Home / Preg-U / Education / Birth Prep / The Benefits of Labor Support and Why Doulas Should be Prescribed. Previous: Mom-Powered Science to Better Predict Birth. Join Us! In the second half of the 20th century, Pediatrician Dr. John Kennell, brought a new perspective to the world of birth. One of the very first to research and write about mother-baby bonding and labor support, Dr. Kennel demonstrated that continuous labor support can make all the difference in both the outcomes and the experience of a family during birth. Since his first publication nearly a half a century ago, his perspective has increasingly found support by research (and families!) around the world. What is labor support, exactly? 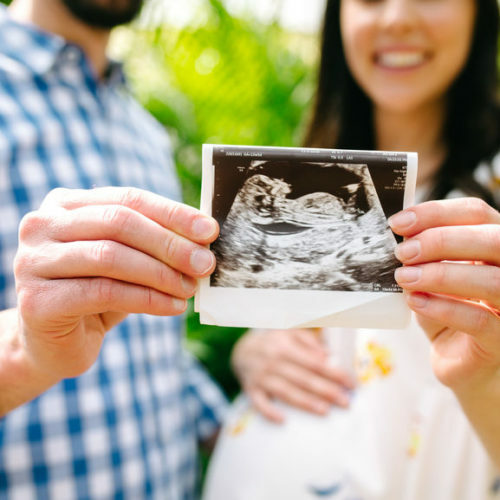 Most often, labor support involves some combination of emotional, physical, and informational support, given to someone throughout their labor and birth. Doulas, who are trained non-medical childbirth support people, are the most common providers of labor support in the United States today. The evidence for labor support doesn’t end there. In a 2013 study where mothers were paired with doulas, Gruber and coauthors found that mothers without doulas were four times more likely to have a low birth weight baby, two times more likely to have a birth complication including them or their baby, and less likely to initiate breastfeeding. And although doulas were once a rarity, increasingly, the medical establishment is on-board with the role they can play in labor support: In 2014, the American College of Obstetricians and Gynecologists suggested the use of doulas as a mean to prevent primary Cesareans (in other words, cesareans for first-time moms). But continuous labor support is key. 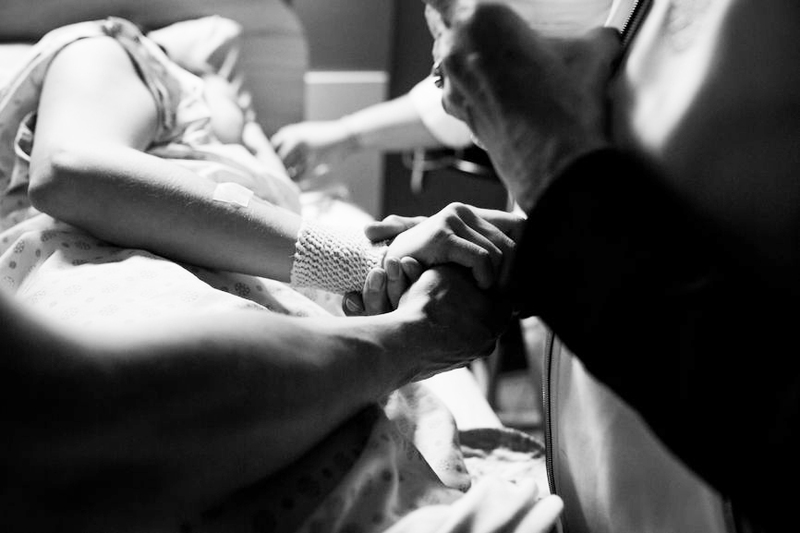 The key to these outcomes is that the support you receive during labor is continuous. This means that your labor support people are with you the entire time you are in labor. Doulas are another set of hands, ears, and eyes. unlike doctors or nurses, doulas don’t change shifts and they are only attending your birth. They are there for you. Labor and delivery nurses, who used to provide a great deal of labor support in hospitals in the 60s, 70s, and 80s, are often unable to give solid support now, based on their workload, clinical duties, and their own skill sets. For modern hospital births, this is one reason why doulas are so helpful – they are another set of hands, ears, and eyes. And unlike doctors or nurses, doulas don’t change shifts. They are there for you, and only attending your birth. A doula is a bit like a friend, coach, personal trainer, and experienced sherpa all rolled into one… but better. A doula is a friend/coach/trainer/sherpa who can help you recognize signs of a normal labor and then also assist you in latching your baby onto your breast after birth. Another benefit of hiring a doula? She is most often someone you have chosen ahead of time and developed a relationship with during your pregnancy. She is someone you like and trust. A doula has nothing on their agenda other than helping you have a happy, healthy experience. They have the training, the time, and the ability to walk with you through your labor, supporting you in a myriad of ways. Labor support from a doula often includes: massage and suggestions of comfort measures, assistance in decision-making, verbal encouragement, help with breathing, and much more. Doulas will tailor their support to your specific individual goal and situation, no matter what it is or how it evolves. A doula has nothing on their agenda other than helping you have a happy, healthy experience. Most doulas have a deep knowledge of normal, physiologic birth and, if that is your goal, they can help you achieve that kind of a birth. But doulas are just as helpful for families who may need or want medical interventions like epidurals, Cesareans, and more. Doulas don’t judge you or your experience—they are there to support and hold space for you, no matter what. Finding a doula can be confusing and overwhelming, especially if there are a lot of doulas in your area. Some doulas work alone, while others work in collaborative partnerships, groups, or even agencies. Word-of-mouth and the internet are your best bets as you look for a doula. Ask friends who used doulas about their experiences, post in moms’ groups, and even ask your provider if they’ve worked well with a particular doula in the past. Most doulas have pretty robust websites and/or social media profiles, so do your diligence on Google and Instagram—this is one situation where internet stalking is absolutely appropriate! For a national database of doulas, check out DoulaMatch.net, which lists doulas by zipcode, availability, and more. You may want to consider a doula’s specific experience, training, and interests. For example, if a potential doula is also a prenatal yoga teacher and you’re a devoted yogi, you may find her expertise especially beneficial. Or if you’re planning a VBAC (vaginal birth after Cesarean), it might make sense to choose a doula who has experience with that birthing scenario. The next step is to schedule interviews with prospective doulas, so you can get a good fit for their personality and approach. Most doulas do these types of consultations for free, usually at a coffee shop or other neutral place. Above all, the most important aspect in choosing a doula is how she makes you feel. You should feel safe with her, supported by her, and comfortable asking questions. Listen to your intuition and wait to feel that good vibe before you hire. Birth doulas generally work for a set fee, which includes prenatal appointments, on-call time, labor support, and postpartum care. The actual cost for these services ranges widely and depends a lot on where you live—expect to pay somewhere between $200 and $1500. More experienced doulas who offer additional services (like childbirth education) may charge more. If you’re not sure if a doula is in your budget or not, it’s still worth contacting a few doulas to talk about their fees. Many doulas will do a sliding scale, take payment plans, or even consider barter for their services. Of course, doulas aren’t the only people who can provide continuous labor support. Partners, family members, and friends are also great candidates to support you through your labor and birth experience. Although the research is strongest in showing that trained individuals who not part of your social or familiar circle (like a doula) can make the biggest difference in your labor, that doesn’t mean your mom won’t be a terrific presence as you work to have your baby. The key is that you feel safe, respected, and supported by your labor support team. Carrie Murphy is a certified birth doula and freelance writer living in New Mexico. She has an MFA in Creative Writing (Poetry) from New Mexico State University and is the author of two books of poetry. 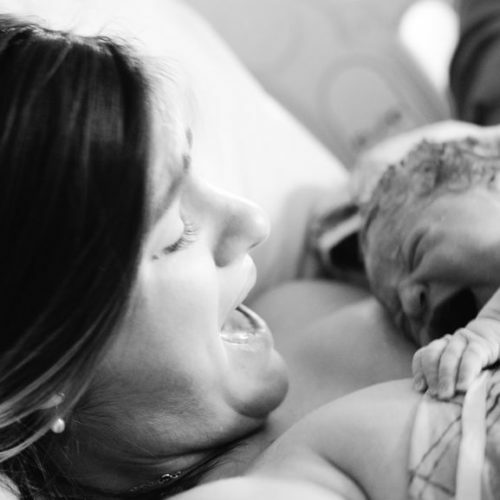 How to Advocate for Your Best Birth Experience. How to Find the Right Prenatal Care Provider.